Home » Architecture & Design » 331 North Crane Blvd. Today we’re doing something different and venturing across the river and into super hot Mt. Washington. Before you get up in arms, there is a reason for such madness, as 331 North Crane Blvd. was designed by Anonymous Architects’ Simon Storey of Echo Park, who was recently named one of the Emerging Architects of 2014 by Wallpaper* magazine. There, does that satisfy you? 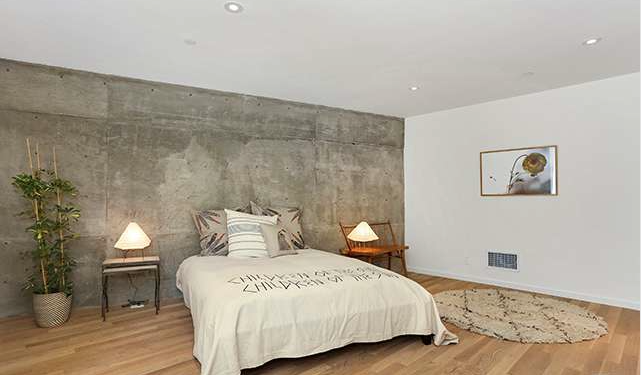 His minimal, modern design boasts 2 bedrooms, 2 baths and hits the market for a low $699,000. Beyond expecting multiple offers, you can almost hear it appreciating in value. 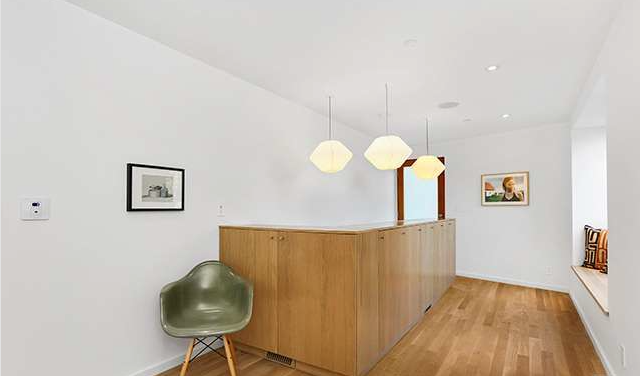 White oak wood floors and cabinetry, combined with multiple bay windows, provide ample, natural light throughout the main floor. And while the kitchen features Carrera countertops, they surprisingly left certain appliances to the buyer’s discretion. 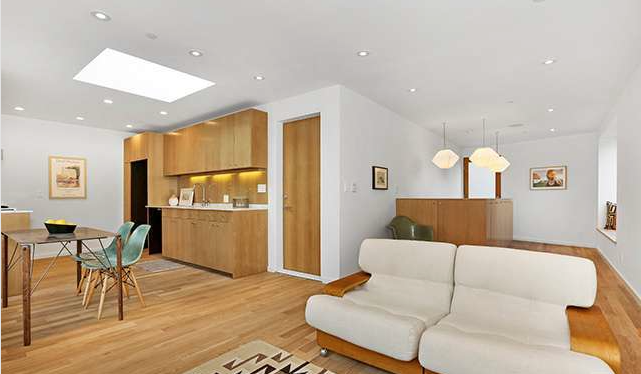 With just over 1,200 sq./ft of living area, space is modest, but not cramped. A bright, clean layout such as this does wonders for usability. Care was taken in providing environmentally-conscious items, such as a tankless water heater, dual-glazed aluminum windows, and ultra low VOC finishing products. The home is even pre-wired for solar and electric car charging. 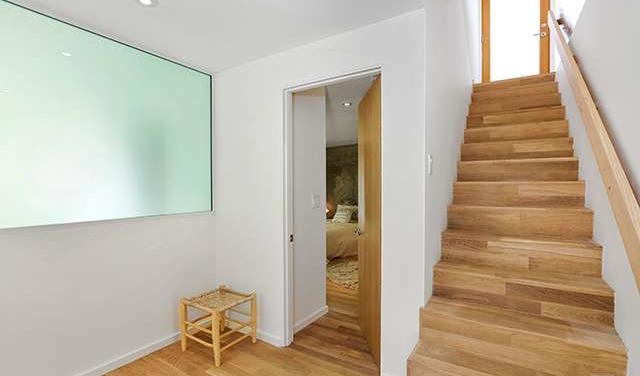 As is the case with many homes in the area that take residence hillside, the bedrooms are located below the living area. 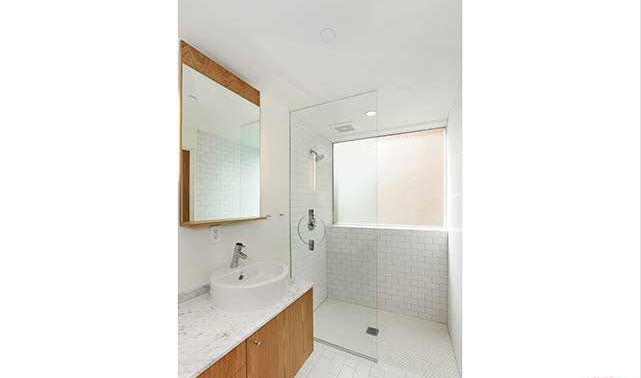 With so much wood, one can appreciate the visual display of cast-in-place concrete in the master bedroom and ceramic tile in the bathroom. 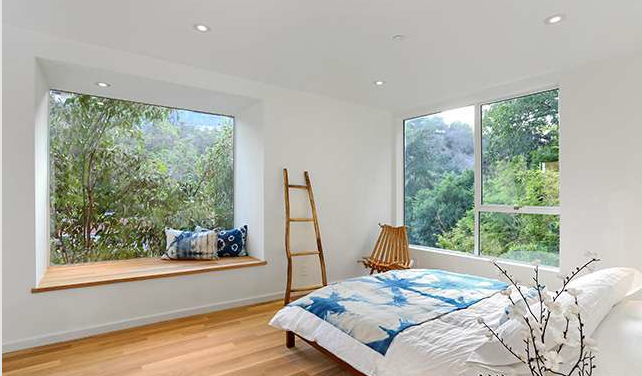 Far from an afterthought, the guest bedroom includes a bay window and sitting nook, with incredible canyon views. For fresh air, you can also try the covered outdoor patio area. 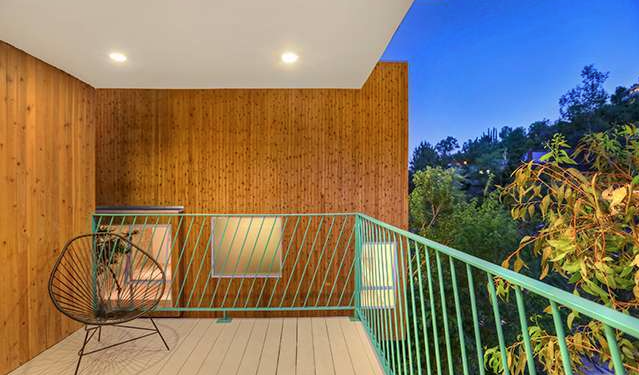 As value goes, this thing is a home run — a new construction architectural in a very hot area. On the bright side, Simon Storey built two in conjunction with his sister, hence the aptly-coined “Brother and Sister” epithet for the side-by-side cedar-lined residences. Just next door sits its twin home at 327 North Crane Blvd., priced at $689,000.